After a few days of Carabao Cup upsets and drama we have yet another huge weekend of Premier League football ahead of us! … and there’s so much to talk about in regard to Gameweek 7 of the 18/19 season. In this week’s edition of “FST vs”, our very own Dean Goddard goes up against Racing Post’s Mark Langdon in a head-to-head prediction battle! Want to know what Mark fancies for the weekend? Check out his (and our) predictions and betting tips in our video preview below. Will Jose Mourinho’s Manchester United bounce back from mid-week Carabao Cup humiliation? Can Liverpool extend their perfect start by making it seven wins from seven against a Chelsea side that dropped points last weekend? And how super is the Super Sunday between Cardiff and Brighton going to be? FST and Mark Langdon cover all that AND MORE above! Categories: Football, Premier League, and Video. 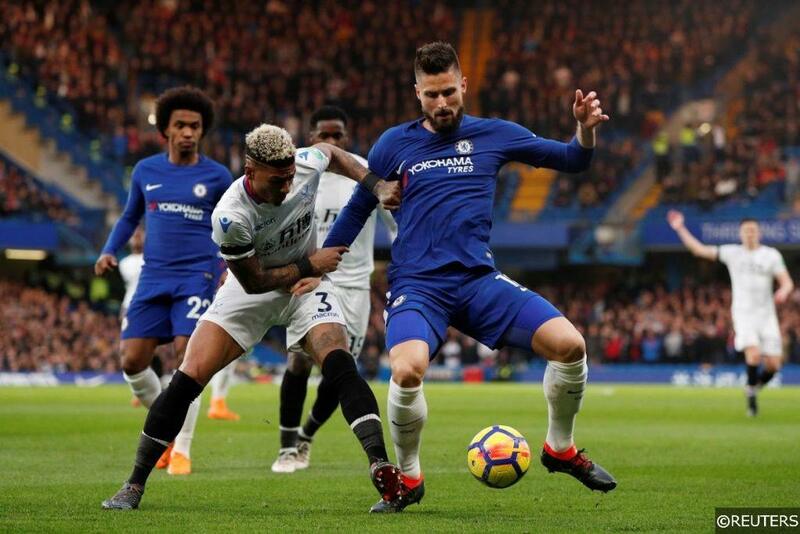 Tags: Arsenal vs Watford predictions, betting tips, Bournemouth vs Crystal Palace predictions, Cardiff vs Burnley predictions, Chelsea vs Liverpool predictions, Mark Langdon, premier league betting tips, premier league predictions, premier league preview, and West Ham vs Manchester United predictions. Team Tag: arsenal, bournemouth, burnley, Cardiff, Chelsea, crystal palace, Liverpool, manchester united, watford, and West Ham. League: England Premier League. Sports: Football.